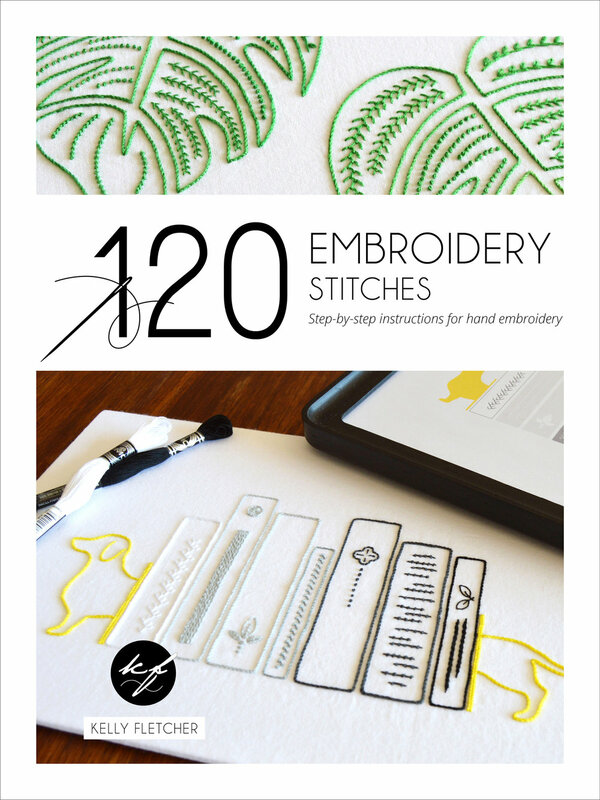 Read more about 120 Embroidery Stitches and the accompanying sampler patterns here. Read more about Embroidery Tips, Tricks & Techniques and see the detailed contents page here. Embroidered Home (Kyle Books) contains more than 60 projects to embroider and sew for your home, in different decor styles – coastal, vintage, bold Scandi-inspired, modern country, contemporary, floral and festive for seasonal decorating. It includes a how-to stitch directory, easy-to-follow instructions and an introductory section on embroidery basics. Embroidered Home is available in Finnish under the title Kirjottu kissa (Makela). Read an excerpt from Inspirations magazine's review of Embroidered Home here. Read more about Embroidered Home and see inside pages on Amazon UK. It's available from most major booksellers. 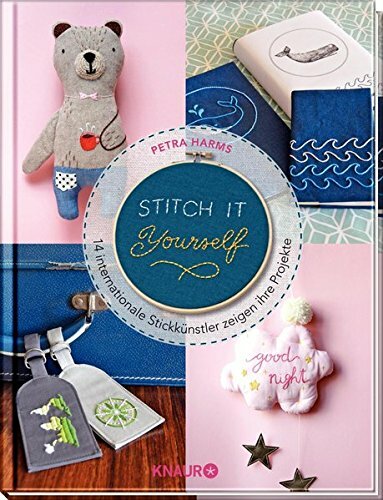 Stitch it Yourself by Petra Harms (Droemer Knaur, Germany) is a collection of hand embroidery projects by 14 designers from around the world. I contributed two projects: a whale notebook cover and some world traveller luggage tags. There are also fish, cats, ice cream, softies, sushi, tea cups, pouches, festive hoop art and more. The designs range from super easy to a little more advanced, but nothing overly complicated, and the layout is fresh and inspiring. It's in German, but most of the projects can be figured out without reading the instructions. Stitch by Margaret Rowan "is the book which contains everything you need to know about hand stitching and embellishing". I contributed the fourth and final chapter to the book, a directory of around 150 embroidery motifs, including an alphabet of monograms. 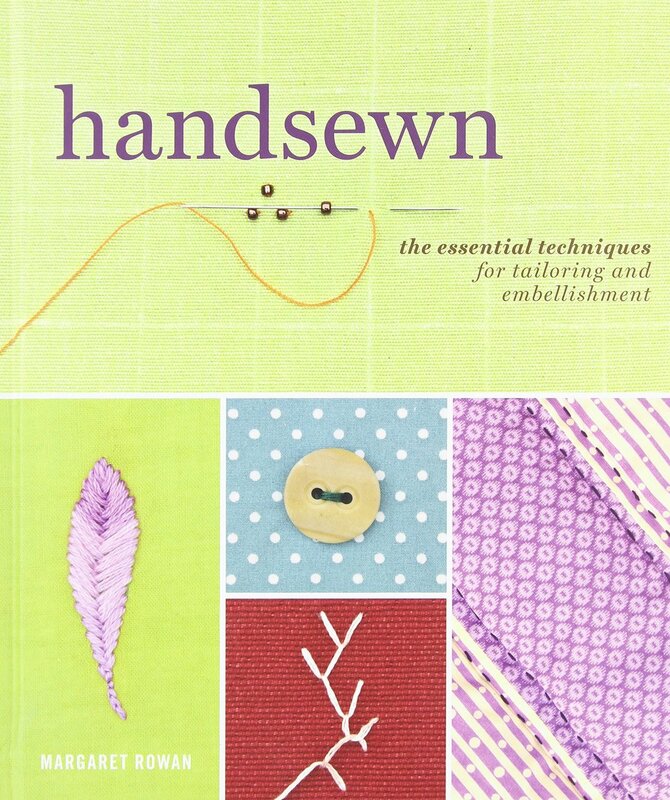 It's available in the US under the title Handsewn: The Essential Techniques for Tailoring and Embellishment.